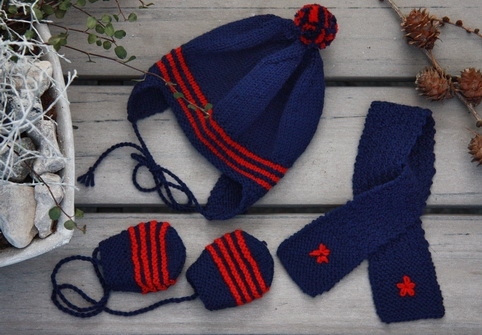 As a subscriber you will receive information about our free doll knitting patterns and Maalfrid's new designed knitting pattern of the month. You also get the opportunity to purchase most of the new patterns 35-45% off normal price. Use the form below. Fill in your first name and email address. To receive the free doll pattern the address must be written correctly. When you click on the subscribe button in the form below you immediately get a "Thank you" page that tells you that are on right track. Short after that you will receive a confirmation email. Click on the link in that email to confirm your subscription. When you confirm by clicking on the the link you immediately get another "Thank You" page which contain the link an password to the free pattern, so read that page carefully. 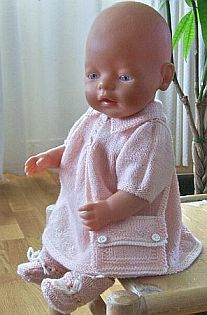 Within an hour or two you will also get an email with the same free doll knitting pattern download instructions and link. If everything becomes messed up and you miss the pattern, password or anything, please don't get desperate ... you will get the free pattern ANNE attached the next newsletter. 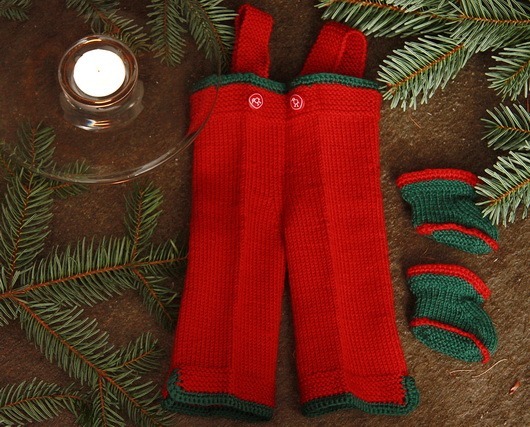 Now and then we will attach the other "bonus" patterns to the newsletter too. NB! 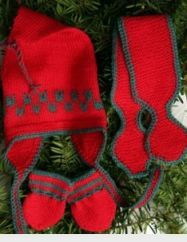 If you fail to follow these instructions, anyway you will receive the next newsletter providing an opportunity to download the free pattern Anne. Yes, of course, it's free. 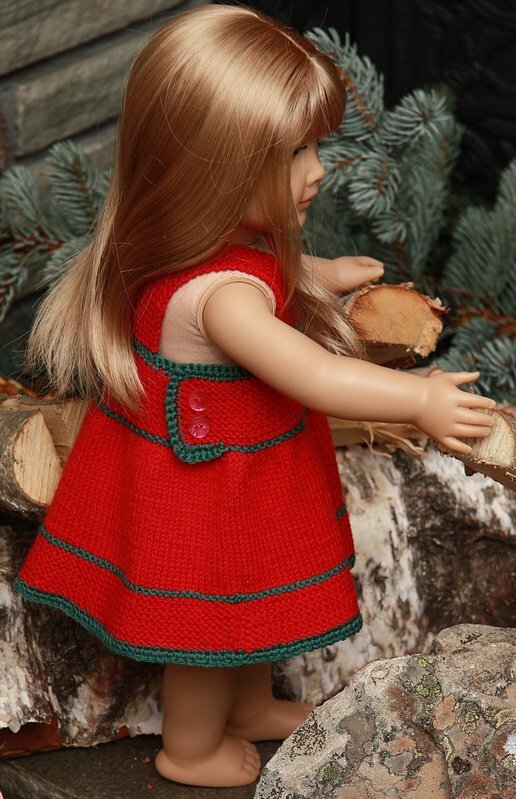 Doll Clothes Knitting Patterns - Newsletter. Bettina that translates our patterns into German has knitted bonus 1 and 2, the 2008 and 2009 patterns (picture to the left). Great job, right? Little Baby Born is cut in those clothes. As a subscriber of our newsletter you will get get access to these bonus patterns. 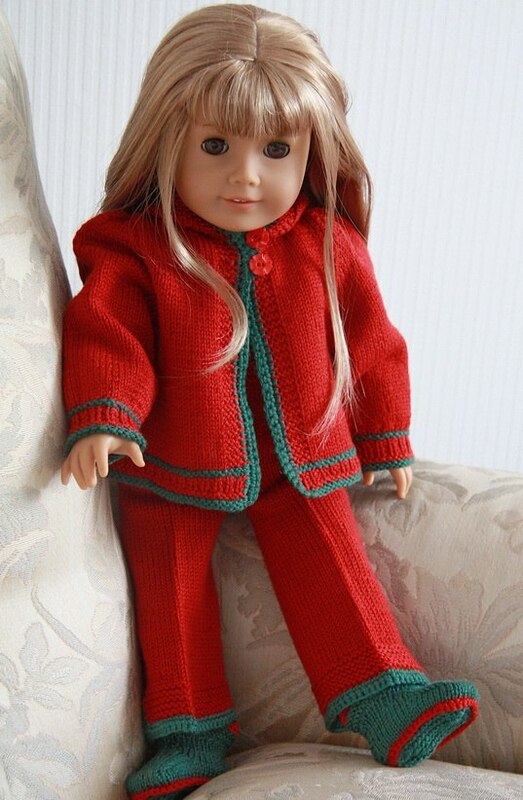 You may want to change the color and give your doll a lovely outfit for every occasion and season. If you are not a member, subscribe to our newsletter (above) and you will get access to this Xmas free package too. Below you will find pictures of bonus1, bonus2, bonus3, bonus4, bonus5 and bonus6. At least once a month the newsletter will provide a download link to one or more of these patterns, and during a few months you will get all of them together in a wonderful package. 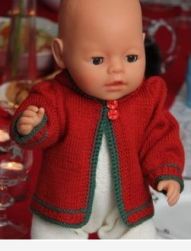 As a subscriber you also will get these 2008, 2009, 2010, 2011, 2012 and 2013 Christmas doll knitting patterns as an extra bonus. Attached the newsletter which you have signed up for, you will get download links to these patterns. During a few months you will have all om them. 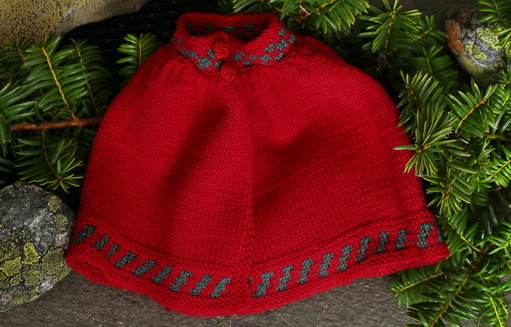 This pattern was designed to fit as a free ekstra kit for the popular pattern 0085D MARIUS.